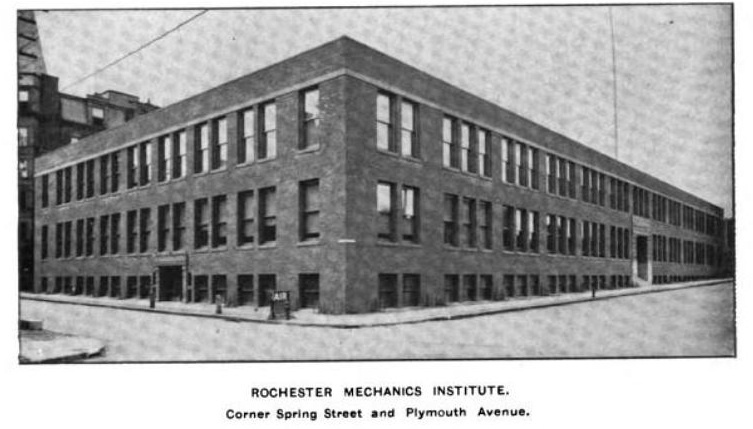 November 23, 1885: The first class, in mechanical drawing, was held at the Mechanic's Institute, which would later become RIT. In addition to mechanical and architectural drawing, classes in the domestic industries of sewing, dress making, and cooking were added. The institute would acquire land and buildings to create a campus between the Canal, Spring, Washington and Plymouth Streets. 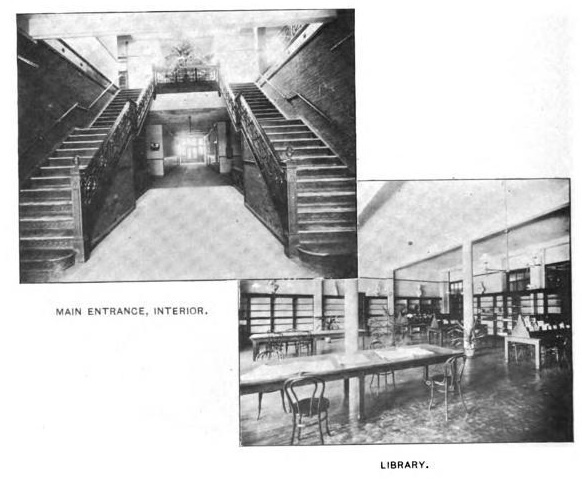 In 1901, George Eastman donated $200,000 for a new red brick building which would hold lecture halls, a new library and administrative offices. November 20, 1811: The first lot in the 100 acre tract on the west side of the Genesee River is sold for $50 by Col. Rochester to Enos Stone, who had already constructed a log cabin there. November 20, 1886: Rochester customers of the the Bell Telephone company initiate a telephone strike in response to the increase in rates to $50 for 500 messages and 6 cents per additional message. Most of the over 1000 subscribers hung up their receivers and the city council revoked the company's license to use of city streets for wire poles. The strike continued for over a year, without service, before a settlement was reached. Dissatisfaction with the Bell company remained and eventually lead to the found of independent Rochester Telephone in 1899, which in the 1990's would become Frontier Corporation. 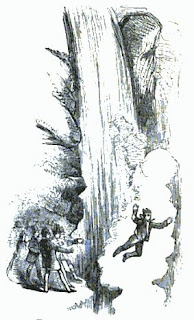 November 13, 1829: Sam Patch died attempting a second jump from 125 feet over Rochester's High Falls on Friday, the 13th of November. He had successfully jumped the falls from 100 feet the previous week, but having raised insufficient donations from the spectators, he planned to repeat the stunt again, this time from a 25 foot platform. His fate was not known until the following spring when his body was recovered from ice in the river near Charlotte. November 8, 1803: Col. Nathaniel Rochester, Maj. Charles Carroll, and Col. William Fitzhugh lease the 100 acre tract along the west bank of the Genesee River from the Pultney Association for $1750. Finding the original mills built by Inidan Allen in ruins, the trio began making lots available to the early permanent settlers. November 6, 1948: The Rochester Royals, in their first home game after joining the Basketball Association of American (which would later become the National Basketball Association or NBA), defeat the Indianapolis Jets. In 1957, the Royals would move to Cincinnati and then to Kansas City in 1972, changing their name to the Kings. The Kings finally ending up in Sacramento in 1985. November 6, 1829: Sam Patch successfully jumps 100 feet over Rochester's High Falls. One week later, he died making a second attempt. 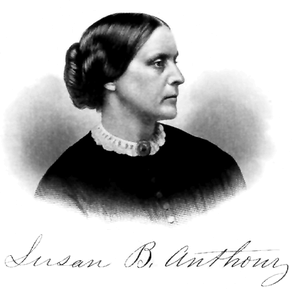 November 5, 1872: Susan B. Anthony and eight other females cast votes in the election. A warrant for their arrest would be issued the following week. November 1, 1960: A week before the election, Vice President Richard Nixon delivers a speech at the Rochester War Memorial Auditorium during his unsuccessful first campaign for the Presidency against John F. Kennedy.